A fashion essential at an affordable price: The satin clutch by trend label Love Moschino. 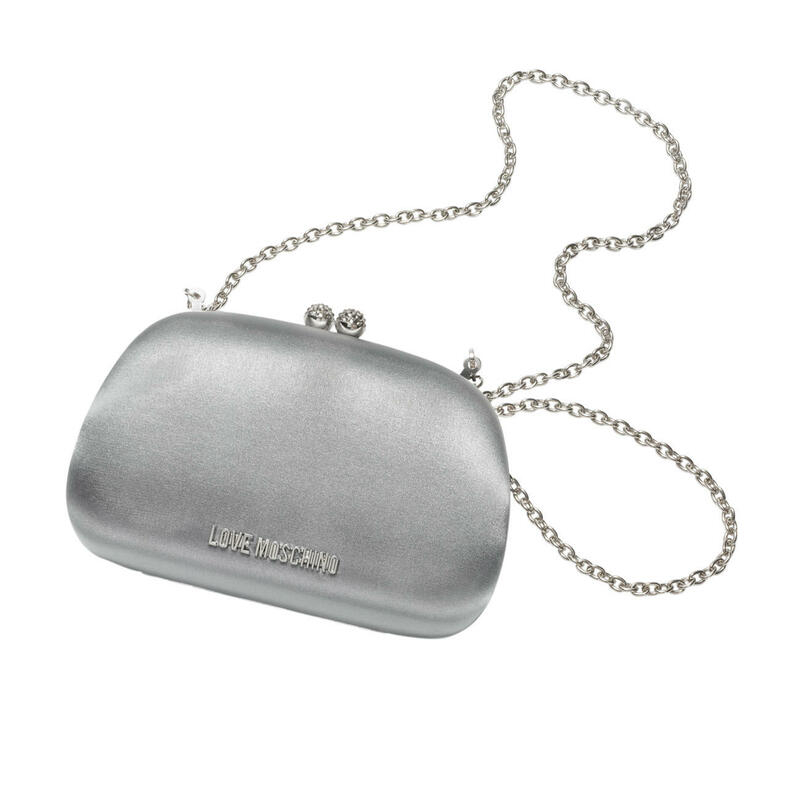 The classic evening clutch bag becomes suitable for daytime. For a while now, the small, handy bag has no longer been reserved for evening or formal wear. The really on-trend look now: With casual jeans outfits. 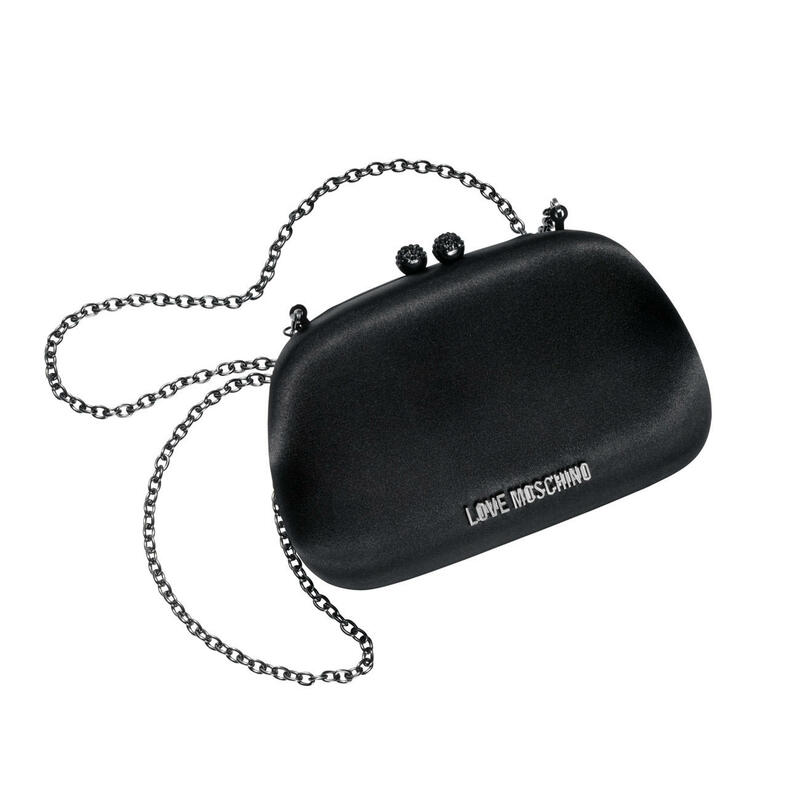 This rounded box clutch by Love Moschino is particularly practical and versatile: Worn across the body with the long shoulder chain, makes a cool look that goes with all casual styles. Held elegantly in the hand, it makes the perfect partner for a glamorous party dress. It keeps its shape and looks very luxurious thanks to the fine satin and the decorative jewel clasp.